EDUCATION – Having worked as a psychologist in schools for over 20 years, I can tell you what most parents know: Students will not apply themselves in any class taught by a teacher they feel no connection to. This is particularly true in subject areas like math. When asked why they’re failing math, students would often say, “I don’t like the teacher.” When XY Theory is applied to romantic relationships we’ve found that it’s difficult to get partners to make the necessary changes for their partner, if they don’t feel a connection to or no longer respect them. We did not expect personality differences to play as big a role in whether your child learns academically, but it does. Suffice it to say here, though, an even greater impact lies in the fact that teaching style and grading is often reliant on your child’s participation in class and expressiveness, both verbally and in written form. But Y type children have less expressive personalities. Should they be penalized for being who they are naturally? 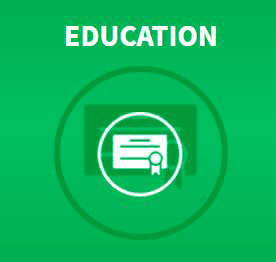 We are currently working within the educational system to test middle school students, and create a model for educators to better connect with their students and improve learning processes based on the student’s personality type. Our research on our personality’s impact in education is covered in XY Theory’s book II. 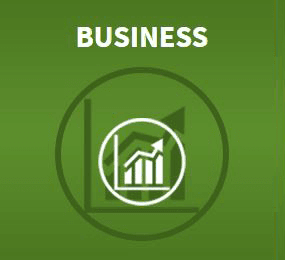 BUSINESS – Every facet of business is affected by the XY Model. Sales are affected by a customer’s personality and, as a result, companies claiming to be able to provide businesses with an API or the algorithms to best predict customer behavior are numerous. Yet, we believe that the Personality APIs we have developed are more effective at doing just that. 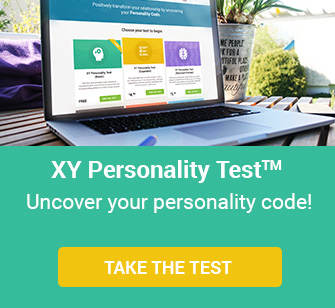 Moreover, the XY Personality and Perception models can analyze employee behavior and thereby boost productivity, and predict which individuals can best form synergistic teams. Hiring and firing practices have been discovered to be affected by the personality differences between individuals in HR conducting interviews and the interviewees. But, team building is the biggest story when it comes to output. Which personality types work best with their managers. Also, which personality types should be aligned to perform which functions or positions to maximize productivity. Furthermore, employees who do not get relational needs met at home are more apt to try to get needs met at work, lowering productivity. We have begun to conduct trainings and workshops for corporations and small businesses, to address these concerns. 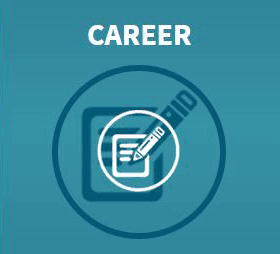 CAREER – We’ve known for some time that we tend to prefer jobs that match our personality. If we’re fortunate at the time we seek meaningful employment, we might choose a job or career that energizes us rather than depletes us at the end of the day. This is what we’ve discovered when we applied XY Theory to career choice. Y types were choosing careers that were requiring less interaction, more solo projects and less team work. Engineering, computer programming and similar careers were typically the choice of Y type personalities, while X types were often found in service oriented careers. When this did not occur, X types felt their jobs weren’t a vocation or calling, but drudgery, while misplaced Ys were going home to their families from jobs like teaching or counseling, and needing one to two hours to recharge their batteries and recoup before spending time with their families. Our goal is to ultimately work with high schools, universities, colleges and college counselors to help students understand their own personalities and make career choices based on their personality type. THERAPY, COUNSELING & COACHING – XY Theory’s approach to therapy and coaching has successfully impacted marriages, dating and education. 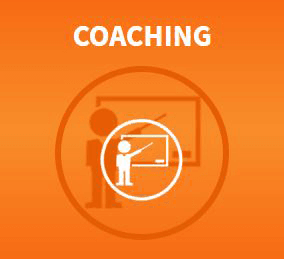 XY Theory changes how we provide therapy and counseling to our clients, school counseling to students, or coaching for clients with more short-term and goal-oriented needs. The new science available to clinicians, including growing disciplines, such as the Neuroscience of Psychotherapy and of Coaching continues to change. But change to our profession is welcomed also because through no fault of clinicians, marital counseling, to single out just one example, does not have a high success rate, if a rise in satisfaction or drop in the probability of divorce are the measures. Why? Because most clients wait until they’re at the throes of divorce or separation to consider seeking help. Often this is too late and both partners are no longer “all-in”, or fully invested. Our XY Personality and XY Perception Tests interrupts this by exposing fissures in the fabric long before they can be clearly seen, certainly before marital failure and this helps partners to clearly see this crisis looming to seek immediate help. When it comes to getting professional help, as you know timing is everything. It’s less useful or helpful to seek professional help for your relationship when it has deteriorated to stage 4 (in a 5-stage model of deterioration). But there’s more. In spite of the best efforts on the part of clinicians in getting clients to accept that they are part of a dynamic relationship, a system, where one partners actions affects the other often in a cyclical way which then assigns blame to either party is difficult. This is hindering to the process. Not so with the XY Theory approach. After learning of a modality that cites partners’ differences as the culprit, individuals find it easier to accept a “no-fault” position when entering a client-clinician therapeutic relationship. The focus on the clients’ ability to adapt and adjust, along with addressing the universal need for XY Communication, XY Intimacy, and resolution for conflict and differences allows service providers to focus on goals that allow these basic needs to be met quickly and successfully. 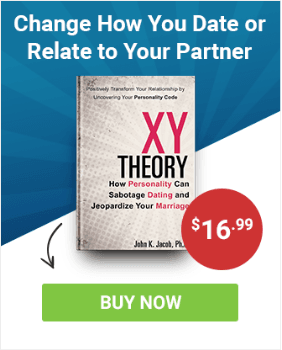 We recommend the XY Theory approach for singles, pre-engaged, engaged and married couples. We train therapists, counselors and coaches who are interested in using the XY Theory Approach in their practice. Register today and receive a $200 discount.